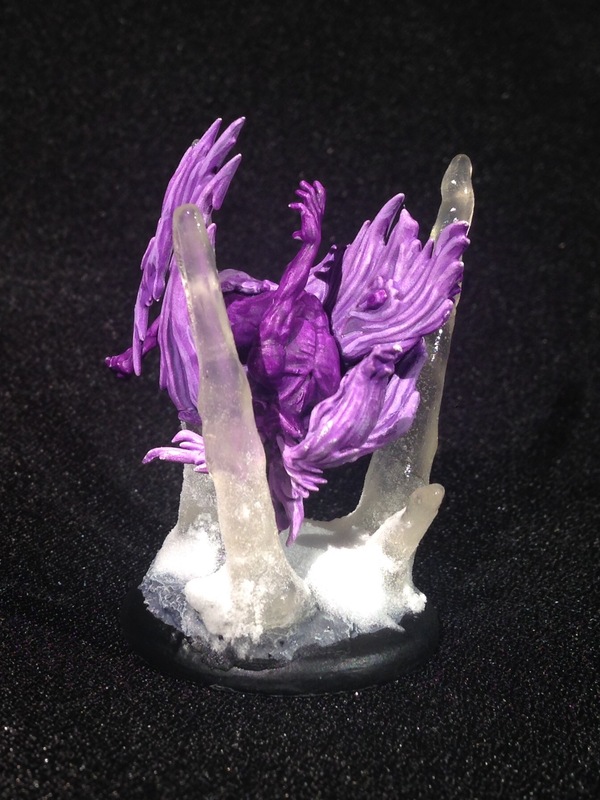 I recently finished up a three different Malifaux models to enter for Wyrd Miniatures Frozen Moments Painting contest single miniature category. I painted up three because I couldn’t decide between which of the three I wanted to enter and decided to see which I liked best when I was completely finished painting all of them. Here you can see the two I decided not to enter. 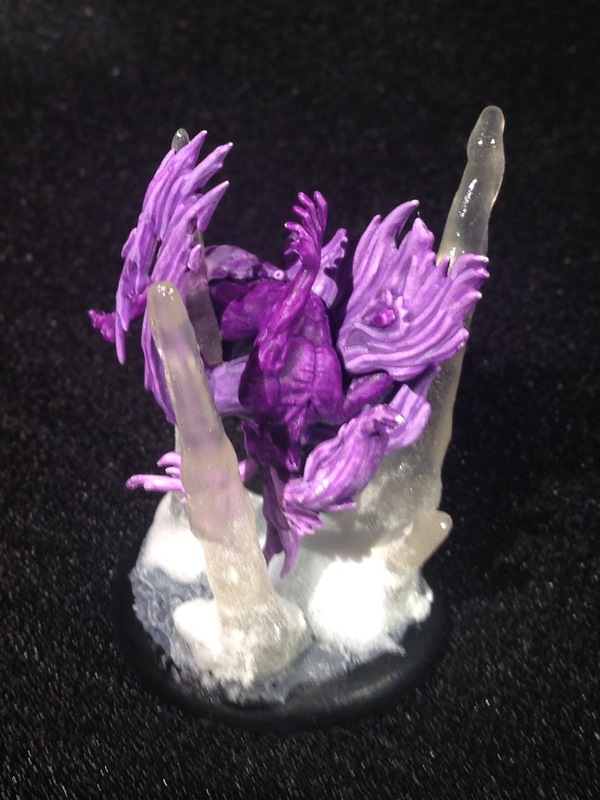 The Wyrd Miniatures Frozen Moments Painting contest has three categories (single miniature, crew, and diorama) but only allows one entry per person per category; unfortunately I didn’t have enough time to finish off a crew or diorama this time around, so I had to pick a single miniature to enter. Entries in the contest can’t have been posted anywhere else on the internet, so I won’t be able to post any pictures of my entry until after the voting is over, but I have posted here some pictures of the two miniatures I chose not to enter–Coppelius and the Essence of Power! 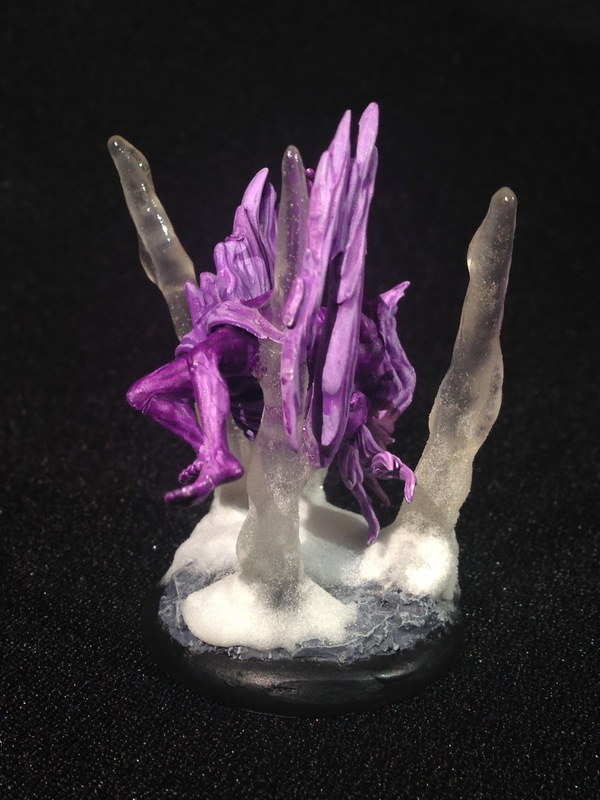 If you are interested in checking out all of the entries in the Wyrd Miniatures Frozen Moments Painting contest, you can check it out here on the Wyrd forums and even vote for your favorite if you are registered on their forums (or if you feel like registering so that you can vote). I will make sure I post some pictures of my entry as soon as voting has ended. This is Coppelius from the Dreamer’s Hide and Seek crew box. 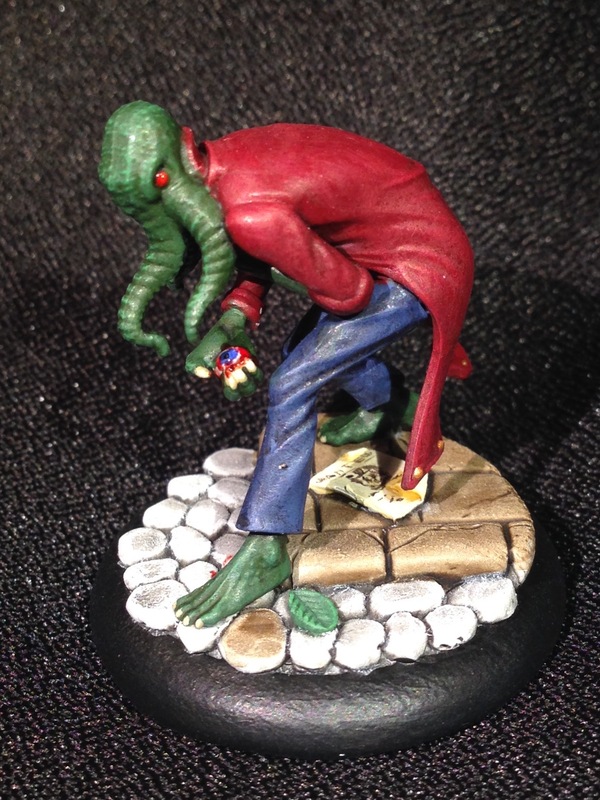 This is probably my favorite model from that box; he really embodies the Cthulhu inspired esthetic that I find very cool in Malifaux. 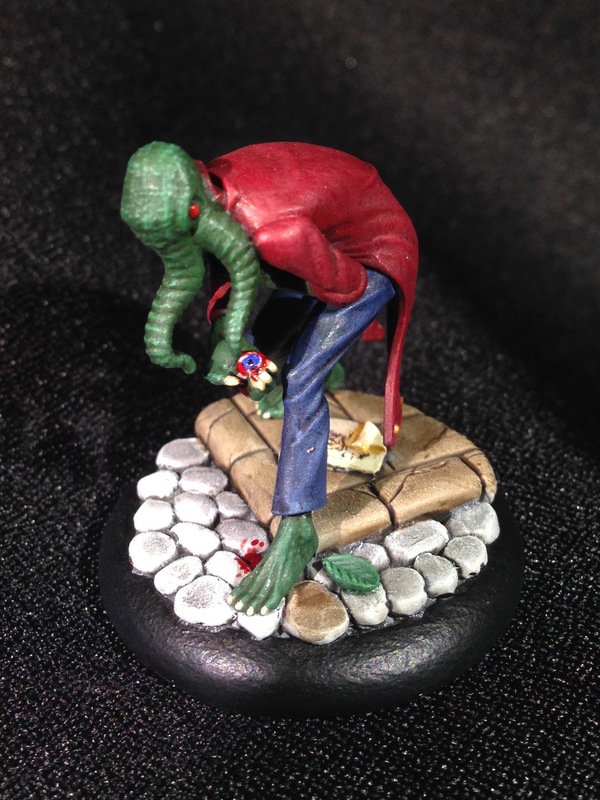 This guy loves to run around the board plucking out the eyeballs of his enemies and eating them. 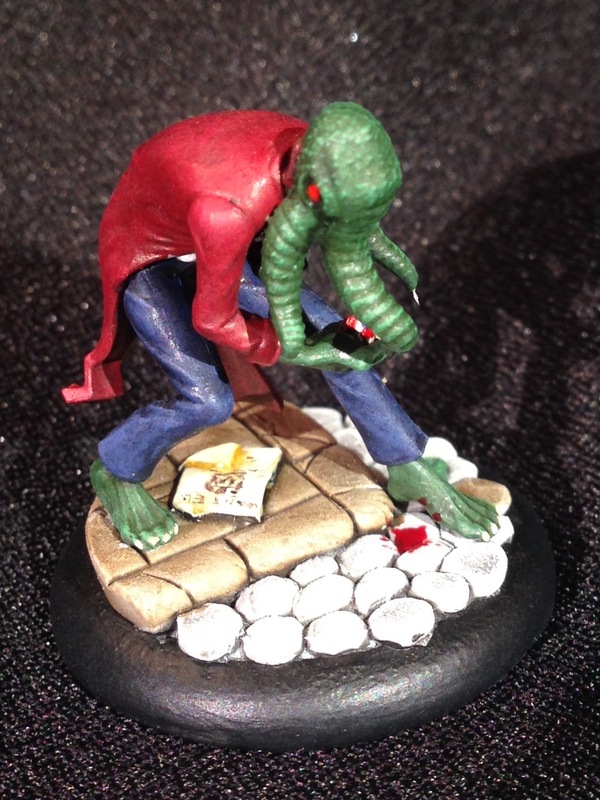 I am really happy with how this model turned out as a whole–even painting the base was a lot of fun and I am very happy with how the freehand on the wanted poster on the ground turned out. I hope you like him! 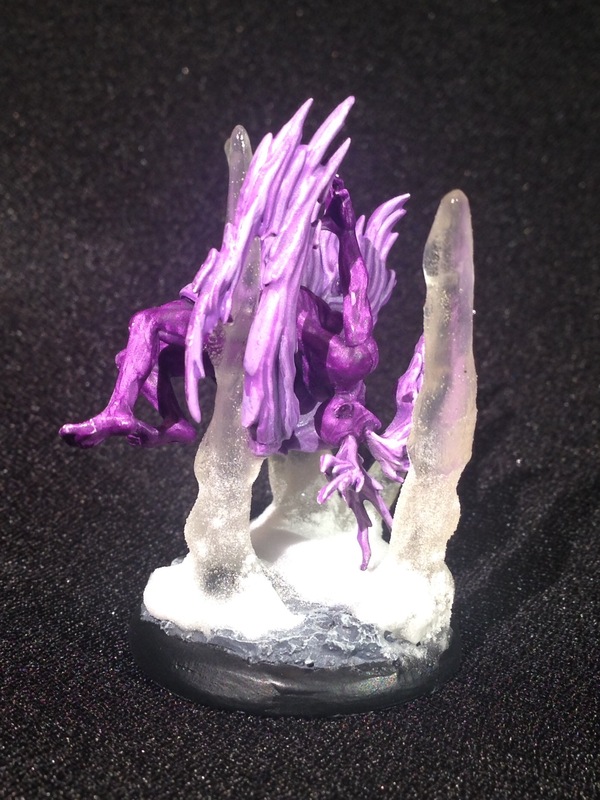 The other entry I painted up but decided not to enter was the Essence of Power. 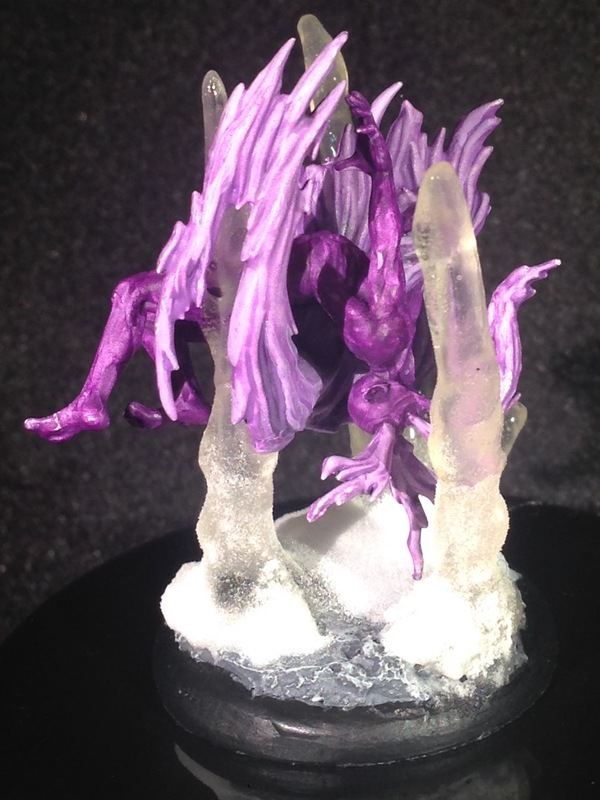 Ever since I saw the final sculpt for this model I wanted to see if I could make it look like it was floating in midair by suspending it with the ice I use for all of my Arcanist models. I feel like I accomplished this pretty well. I have a whole bunch of models currently in various stages of building and painting, so I will hopefully have lots to post in the coming days. 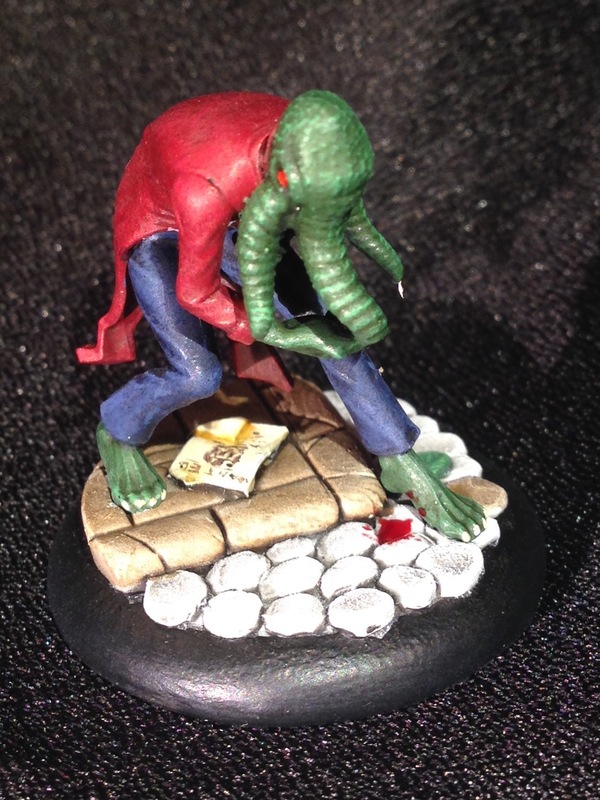 Check back soon for a look at the model I did decide to enter in the painting contest, I am psyched at how it turned out!